WHAT IS LINE-X BODY ARMOUR? LINE-X Body Armour is a distinctive exterior automotive coating that provides a durable skin and rugged look for any vehicle. 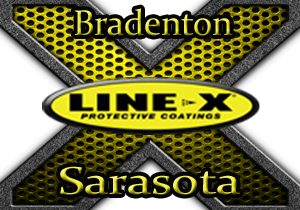 LINE-X has products and application techniques to handle almost anything. Whether you’re a weekend warrior, an off-road trailblazer or a custom car restyler, LINE-X can offer solutions that are impervious to scratches in your pride or dents in your ego. Aren’t we all? While LINE-X Body Armour is heavier than traditional automotive paints, it only adds about 50-75 lbs. to your vehicle.